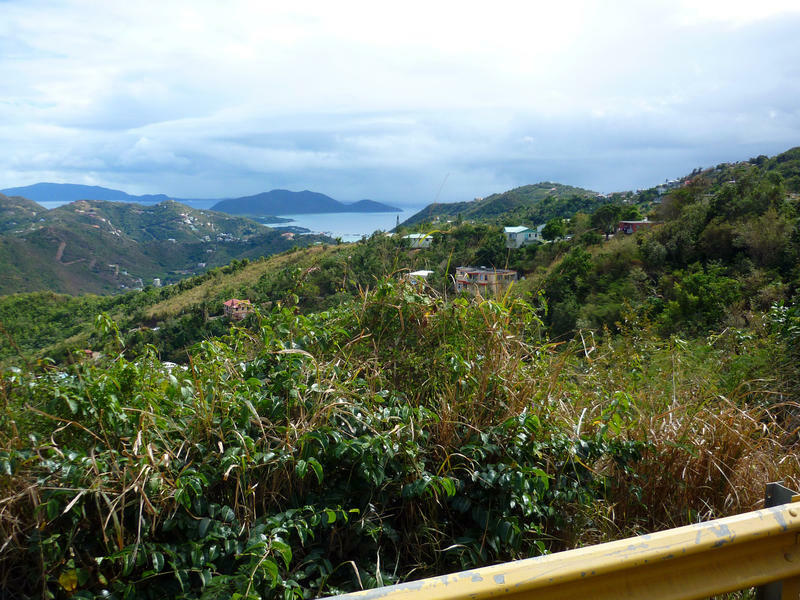 It was the view that caught his heart when they’d first visited Tortola. The twins had just turned ten. He’d gotten a miserable case of traveler’s diarrhea and spent two days cocooned inside Aunt Essie’s cottage while everyone else was at the beach. He’d initially felt sorry for himself, but then the quietude enveloped him, and he found himself cherishing the time away from chit-chatter and the demands of the children, love them though he did. He’d recovered sufficiently by the third day, and the shore was fabulous. Still a piece of him remained on the cottage’s porch, gazing into the horizon, sipping bland tea, and feeling a calm he hadn’t known possible. The boys were in college. Bernice had moved on. He decided to move in. She shrugged her macintosh off to use as ground cover before lowering herself gingerly. She drove two hours to get here and her hip still protested anything less cushioned than her bed, let alone damp gravel. Still, walking in the fresh air was good for her, the doctor said. Didn’t say where she had to do that walking, and Norm was no longer around to object. He’d been terrified of flying, worried about trains, sea-sick on boats, wary around cars. Poor Norm. She couldn’t blame him. Not after what he’d gone through during the war. Made for dreary holidays, though. She gazed at the lake, took a deep breath, and pulled the folded papers out of her pocket: The unsigned bill of sale for the house; the travel agent’s brochure for the round-the-world ticket. My young client is a well-loved child. She has parents who are sensitive to the adjustment she is making, and though they may not always be perfect in their expectations, are nonetheless quite more than “Good Enough”–to loosely refer to the Winnicottian term. Her parents understand that their (still young) eldest’s reactions to the baby are complicated: adoration, annoyance, jealousy, wonder, confusion, irritation, worry, happiness, love, rage, loss, delight. They are trying to make her transition into Sister gentle, rewarding, and mild. To them it is as if the child cannot be both happy and envious, loving and irritated, confused and understanding. As if there is not in all adjustments–through any growth and change in life–both loss of one thing and the acquiring of another. As if the presence of sorrow or jealousy invalidates the truth of joy or the honesty of empathetic care. It makes me wonder, when I hear such sayings, what is being reawakened for these grownups when they see a toddler ‘dethroned’ from baby-status, and what perceptions they have accepted to be facts and so try to make into reality. Sure, siblings may experience many forms of competition and rivalry, but does that mean they have to be either at each other’s throats or ever loving? Does irritation make their care less genuine? Is a toddler’s query of “when is mama taking the baby back to the hospital?” confirmation that the child does not want the sibling, or an expression of momentary (and understandable) exasperation with the change that is difficult to let in fully without friction? Can’t it be both love and envy, both annoyance and deep care? Yep, little one. Big-hearted, wide-souled big sister (and the many such big-brothers!) that you are, you sure know how to make a person smile!